LVS Ascot students have been enjoying new facilities available to them at lunchtimes after a major £820,000 refurbishment of the dining hall. 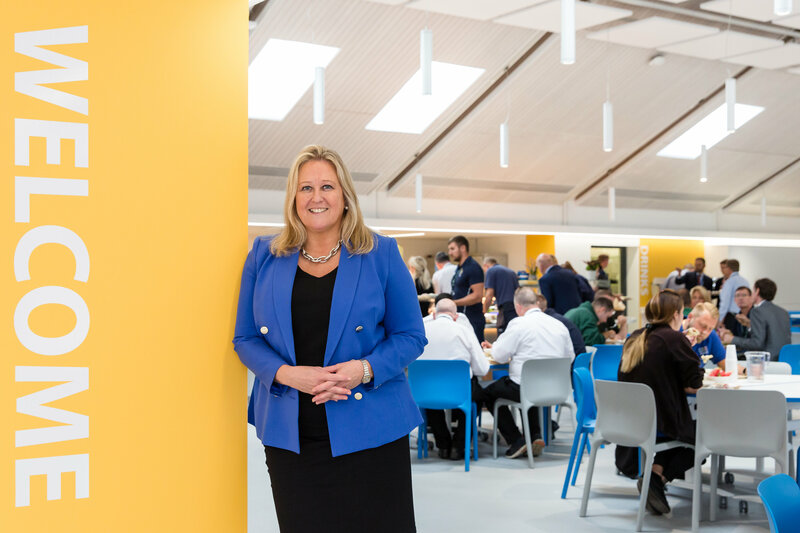 The improvements made over the summer have created a much better user experience, transforming a standard school canteen into a high-end restaurant quality space. With meals provided by Sodexo included in the fees at LVS Ascot, and a focus on healthy nutritious eating, the dining hall is an important area of the school and has had a complete makeover. A 20% increase in size has been created to comfortably accommodate the 850 pupils, along with new furniture and booth seating, and an increase in natural lighting due to the insertion of skylights and slimline aluminium windows. The new dining hall has suspended acoustic ceiling panels to help with sound deadening and improve conversation, and a servery that includes a theatre cooking suite for demonstrational cooking. To see our revamped dining hall for yourself, please see our online school tour here.